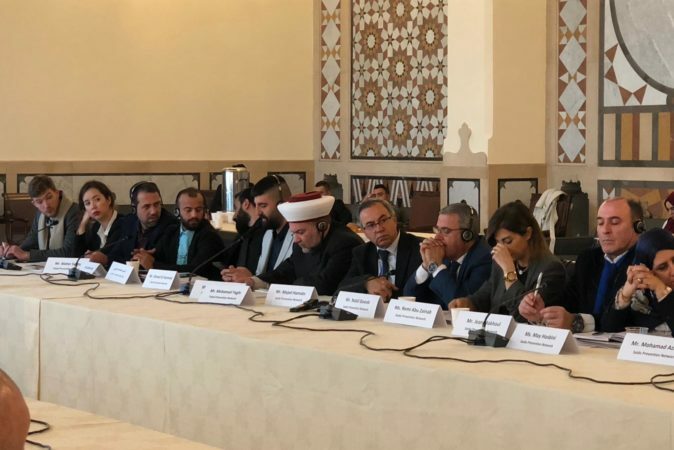 Lebanon has the led the way in the MENA region, having been one of the first countries to establish a national PVE unit, which developed a national strategy aimed at the prevention of violent extremism (PVE) across the country. The strategy’s nine pillars include crucial strategic topics such as good governance, dialogue and economic development. 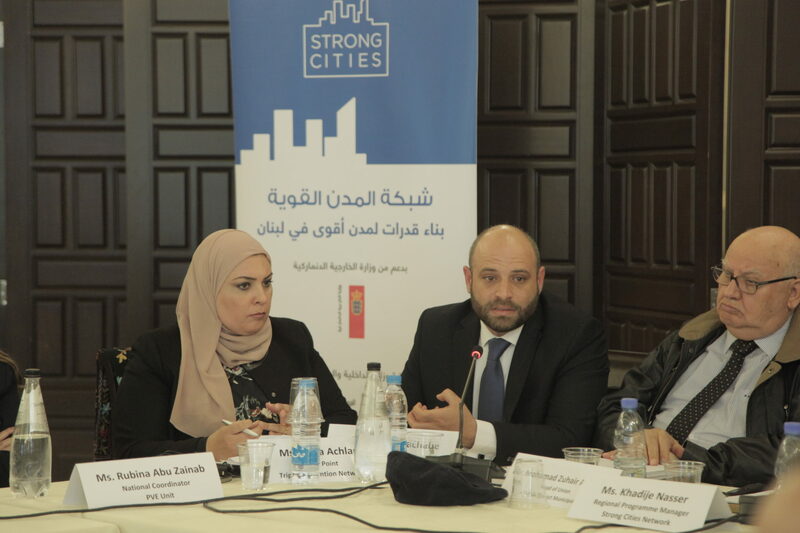 The Strong Cities Network’s engagement with three Lebanese municipalities falls under pillar four, which is devoted to urban and rural development and engaging local communities. 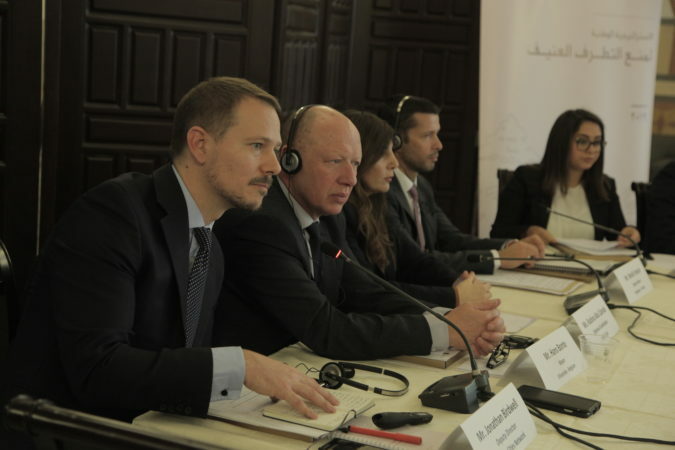 Last month, a high level meeting of heads of municipal unions and mayors was convened to discuss the national PVE strategy and its implementation at the local level. 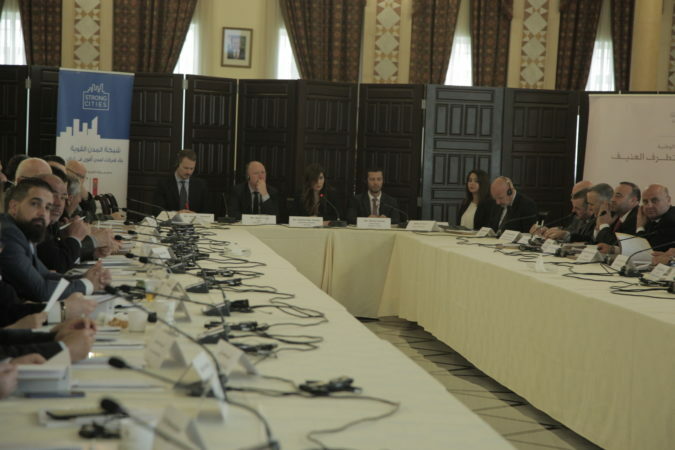 This pivotal event was jointly hosted by the National PVE Coordinator for Lebanon, Rubina Abou Zeinab, and the Strong Cities Network at the Grand Serail in Beirut, Also in attendance were Mayor Hans Bonte of Vilvoorde (Belgium), Deputy Mayor Fetouh of Bordeaux (France) and Secretary General of CAPRI (Centre d’action et de prevention contre la radicalisation des individus). 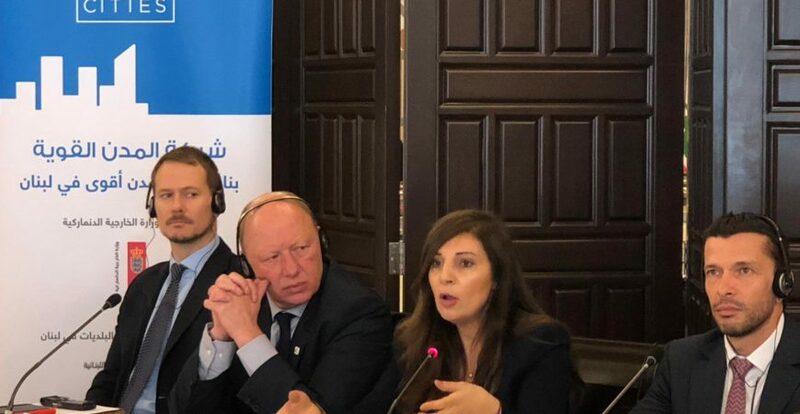 In line with the strategy’s aims, Ms Abou Zeinab highlighted her commitment to working closely with municipalities in their essential capacity as local channels of PVE. The meeting shed light on ways in which PVE can be promoted at a local level, including low-cost community outreach and awareness-raising activities, to inspire mayors to take an active role in PVE in their communities. 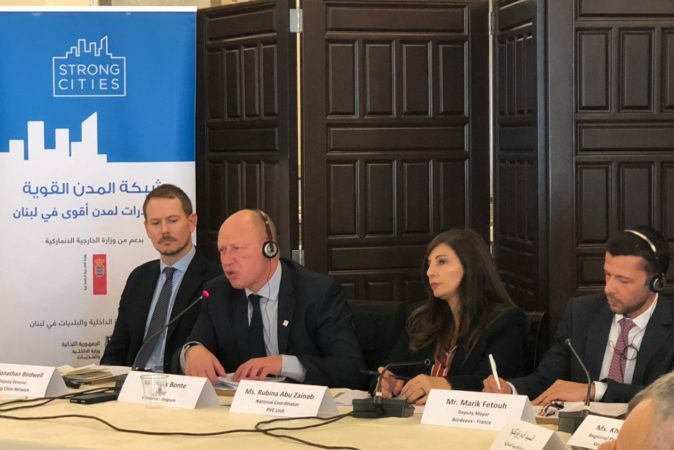 Lebanese mayors who have a longstanding relationship with the SCN were also present to share their experience regarding the establishment of the Local Prevention Networks (LPNs). Mayor Saoudi of the city of Saida and Mayor Yassine of the town of Majdal Anjar both stressed their commitment to supporting the work of the LPNs to foster inclusive and safe societies and to protect youth from extremist ideas. LPN Focal Points from Saida, Tripoli and Majdal Anjar presented the numerous activities that their respective LPNs had successfully executed with their local communities. These activities include but are not limited to, training teachers on PVE, hosting a PVE camp for Syrian and Lebanese youth, developing a theological workbook to help religious leaders discuss and promote tolerance and social cohesion, and opening the first ever municipal youth office in Lebanon. Attendees were very interested in contributing to wider PVE efforts in line with the national strategy’s vision. Questions and comments brought forward many important considerations, including: the regulation of unregistered mosques; promoting civic education in private and public schools ; different activities to engage youth more successfully; and the role of the internet and social media. The final session served as a further opportunity for Lebanese mayors to discuss their role in the National PVE Strategy and next steps. The National PVE Coordinator pledged to host the group again in future consultation events to solicit their views and contributions for inclusion in the National Action Plan for Pillar 4 of the National PVE Strategy. “We need to think globally, but act locally. It’s at the local level that we can make a difference!” Mayor Bonte, Key-note address, Beirut, March 2018. 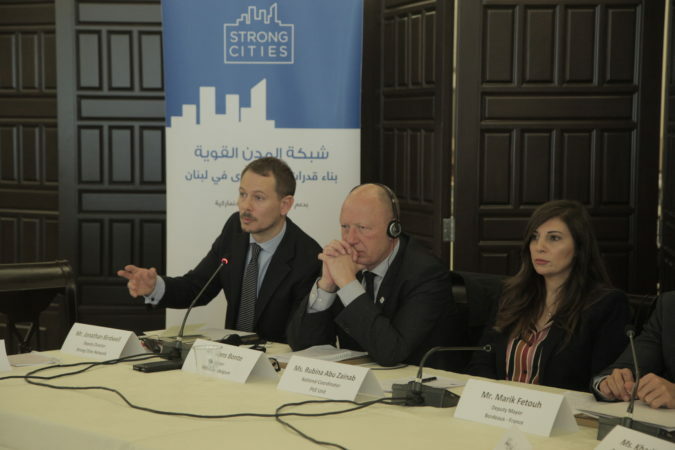 During the event, member cities of the Strong Cities Network were invited to share their experiences of preventing violent extremism at the local level. Mayor Bonte, Deputy Mayor Fetouh and the Secretary General of CAPRI all delivered key-note speeches to showcase the success of local initiatives and coordination mechanisms in their respective cities. 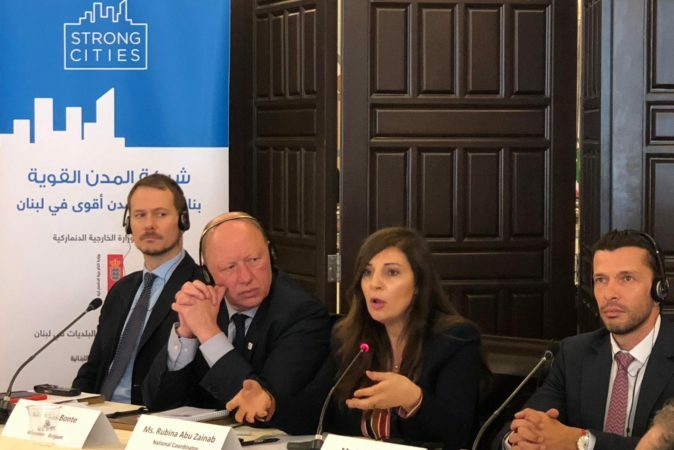 The high level speakers also strongly encouraged their Lebanese counterparts to look at how to adapt best and promising practices from other municipalities to their individual local contexts. 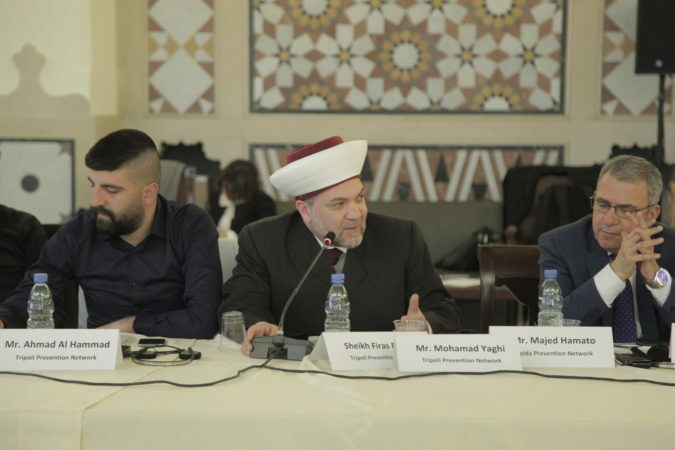 Mayor Bonte stressed the importance of engaging local groups to foster effective integration, citing regular coordination with local imams, who proved to be crucial partners in the fight against violent extremism and radicalisation. As a result, there has been an increased focus on youth engagement as a key priority to help offset radicalisation. Deputy Mayor Fetouh spoke to the various CAPRI programmes which provide counselling and guidance to the family members of individuals who are showing signs of radicalisation. In particular, he spoke to the different categories of radicalised individuals and the support they receive to strengthen family relations and re-establish dialogue. 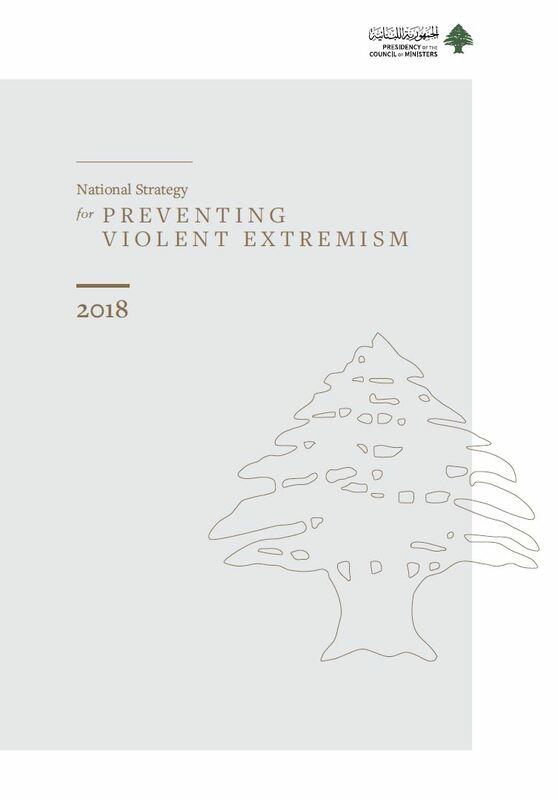 To read more about the National PVE Strategy in Lebanon, visit the national PVE website. To read more about our Strong Cities programme in the Middle-East and North Africa, visit our MENA page. To know more about how to establish a Local Prevention Network in your municipality, read our policy model available in English, Arabic, and French.